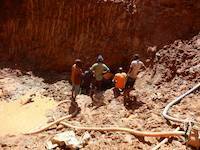 These Ugandan miners are panning and searching for gold. 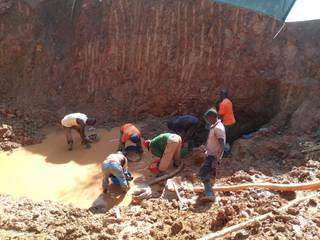 They have pumped the water out of the small open pit and again and repeatedly reached the ore in sight. The rich gold ore vein is yielding with more than 2 kilograms of gold out of 3 large trucks of such material. 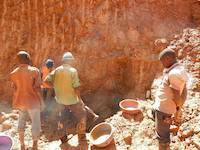 Start Your Own Gold Mine program is engaging to help the local miners and share the proceedings with them. 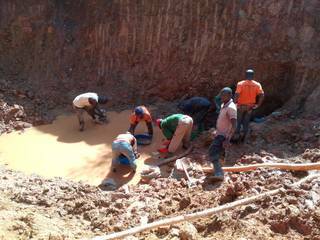 These miners are panning for gold in Uganda. Each of these miners is hoping for their luck! 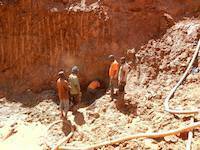 On this day, the water was pumped out and the rich gold ore was just there available for excavation. All the soil around the hard rocks contains a lot of gold that could be panned right away. 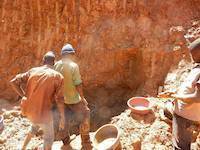 Miners started panning and collecting grams of gold. 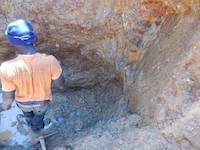 This is the rich gold ore vein. 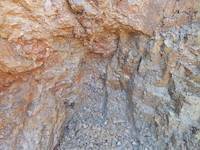 Here is the ore in sight, the rich gold ore vein. 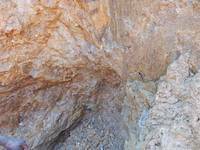 Here is the rich gold ore vein, whatever is excavated on this place is yielding with high gold content. This is the gold ore in Uganda on one of available locations for the program Start Your Own Gold Mine. Miners are at "ore in sight". That means the ore have been discovered, it is accessible, it is only not known what is the actual underground volume of such ore.